Many family historians begin their search for ancestors in the same way. We start with names and dates of birth and death, relationship to us, and finally countries of origin. But most of us are not satisfied to stop with just the facts. A common trait of genealogists is the hunger for knowledge. We want to know what kind of lives our ancestors had in their countries of birth. Why did some decide to emigrate and others didn’t? What were their lives like in their new countries? 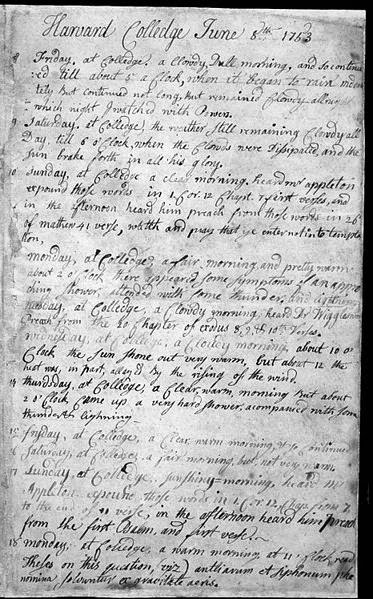 Royall Tyler Collection's original manuscript by John Adams (1735–1826), Wikimedia. For some of us, these questions can be answered by family stories, diaries and journals, letters, bibles, and published histories. 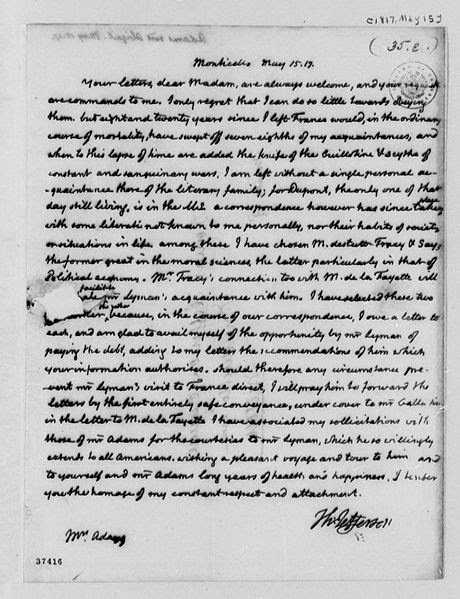 written by Jefferson at Monticello...15 May 1817. But for many, our forebears were struggling to survive and may not have been able to read or write. Their individual stories have been lost to the progression of generations who followed them. However, for some families a combination of an auspicious historical time period, a wealth of letter-writing members, and some living relations with excellent memories come together, just waiting for a modern-day scribe to weave a history. 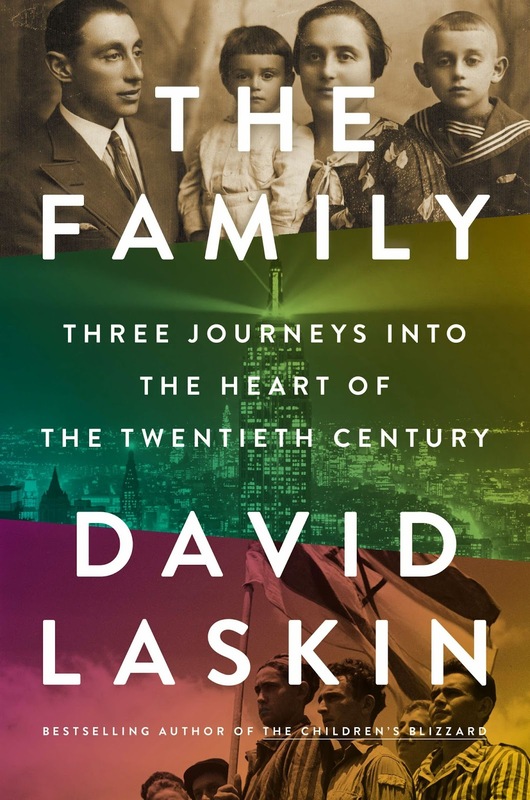 David Laskin is a best-selling author who turned his talents to writing the history of his Hakohen family line in his book, TheFamily: Three Journeys Into The Heartof The Twentieth Century. Laskin begins his chronicle with Shimon Dov Hakohen and his wife Beyle Shapiro who were born in the mid-1800s in the Russian Pale of Settlement. New York, N.Y.: Funk & Wagnalls, pp. 531, Wikimedia. By 1900, six children, ranging in age from 17 to 38 were born, and several had children of their own. The family members lived in two small towns between Vilna and Minsk. Most of Laskin’s story is about the lives of the children of Shimon and Beyle whose lives coincided with the twentieth century. Like many family chroniclers, Laskin didn’t become interested in the story of his family as a young man. But when he did, he was very fortunate that several members of the family were still living who had knowledge of the past, from hearing first-hand accounts from relatives now passed away, and who were willing to share what they knew. Another very lucky break was the fact that much correspondence among family members, going back to the early 1900s, survived. The first part of Laskin’s book tells about life for Shimon and Beyle Hakohen, their children and their grandchildren in the Pale. 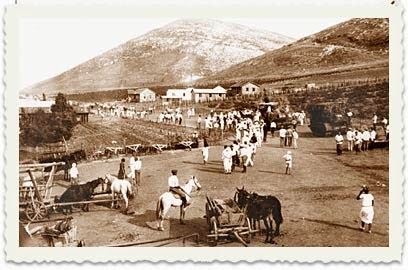 We learn of the conditions of daily life in a small village in the early years of the 1900s with Jewish and Christian neighbors living along side each other. We read about everyday family life, marriages, births, work and economic conditions. Laskin also tells us of the pogroms that came with regularity and how these devastating periods of slaughter of Jews out of ethnic hatred impacted the younger generation of Hakohens. 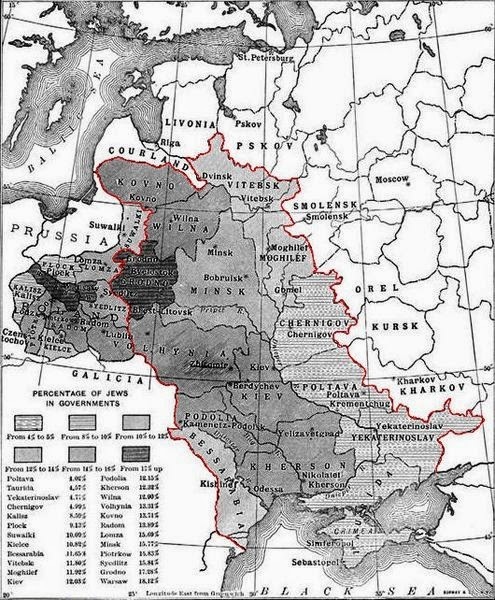 This history of institutionalized persecution along with bleak economic prospects propeled two branches of third-generation Russian Hakohens out of the Pale forever, illustrating the “push factor” in emigration. We know the reasons that pushed the young Hakohens to leave the Pale, but what were the “pull factors” or the motives behind where they chose to emigrate? Laskin gives an inspiring picture of Sonia and Chaim Kaganovich, grandchildren of Shimon Dov Hakohen and first cousins, who longed to be part of establishing a Jewish homeland. PikiWiki - Israel free image collection project, Wikimedia. In Chapters 11 and 12, we read of their separate journeys to Palestine, their individual beginnings in the land and their coming together in marriage. What a powerful window of history Laskin opens for us as we glimpse the struggles of Jews and Arabs to live in the same land. 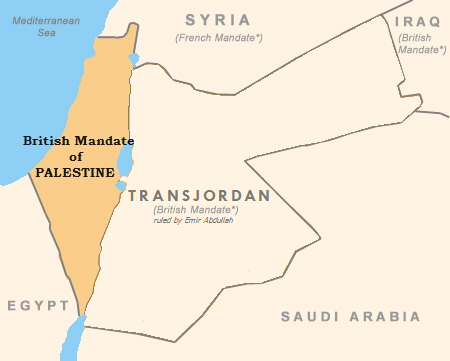 British Mandate for Palestine, Seblini, 29 January 2012, Wikimedia. We watch the pioneering Jews as they tackle often harsh climate conditions to turn barren land into thriving farms. 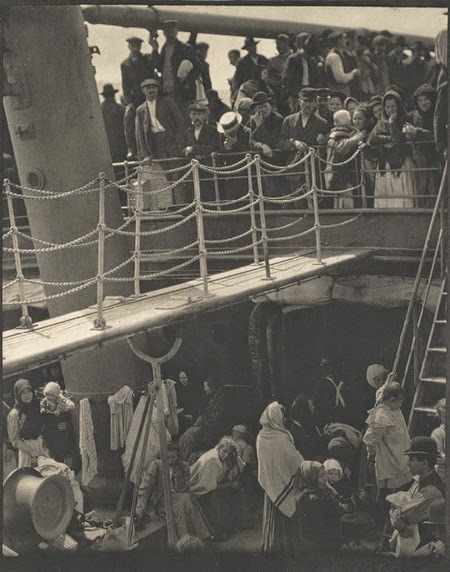 This is a genealogist’s dream: to see into their emigrant ancestors’ daily lives in their new countries. So far Laskin has introduced us to two branches of the Kaganovich family: one that stayed in the Pale and one that made a foothold in Palestine. But there is a third branch. Itel Kaganovich, the oldest granddaughter, who was born in 1886, had a talent for sewing and for fighting injustice. 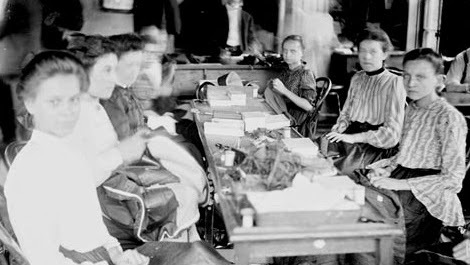 In Chapter 3, Laskin describes Itel’s journey from seamstress to revolutionary. The younger generation of Jews in the Pale were organizing against the system that condoned the cycle of mayhem against their people. Itel became part of the movement to such a degree that her life was in danger. The man she loved had left for America to escape the death sentence of having to serve in the Tsar’s army as a Jew. After her family was warned that she would be jailed, Itel sailed for America where she would be known as “Ida” and would become a phenomenal success. 1903, Chicago Historical Society, Wikimedia. looking for work on the Lower East Side of New York to the owner of Maidenform Bra Company. So many genealogists have stories of family members who came to America with nothing but hopes and worked hard so that their children could have life a little easier. But very few actually strike it rich and end up owning a world famous company. Laskin shows us just how Ida put together her creative talent, a risk-taking nature, hard work, and a head for business. We get to go on Ida’s unforgettable journey along with her. David Laskin’s book is an example of the best kind of family history. Readers not only get the personal history of the family, but these individual stories are woven into local, regional and world history. Wouldn’t it be wonderful if Laskin taught a class in “How to write your Family Story” at a professional genealogy conference? While we wait for that to happen, pick up his book and read it for the exciting story that it is, but also study it as an example of excellent genealogy writing.